Founded in 2013, the Sustainable Purchasing Leadership Council convenes buyers, suppliers, and public interest advocates to develop programs that simplify and standardise sustainable purchasing efforts by large organisations. Since it was founded, the Council has quickly attracted members, from a wide variety of sectors and regions, with over $200 billion in collective purchasing power. 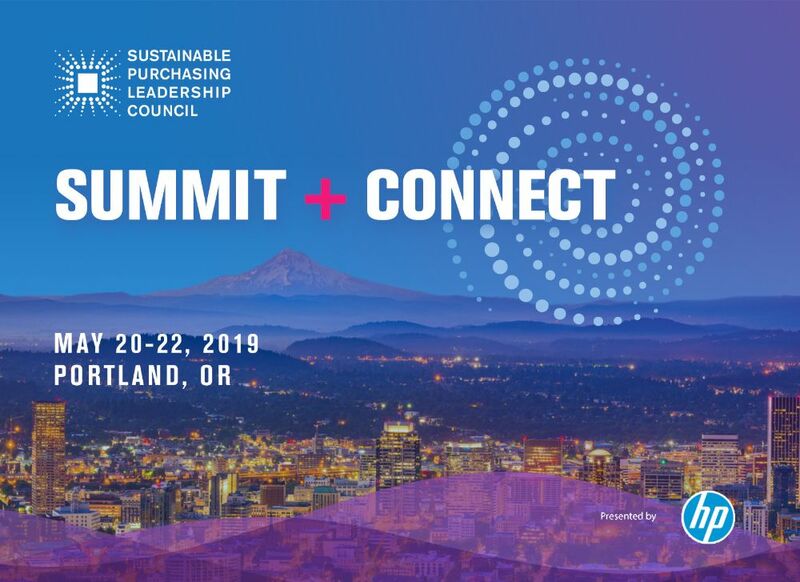 Following up on the Council’s successful 2018 Summit, the 2019 Summit will bring together 500 leading sustainable purchasing experts and practitioners from a wide variety of sectors and regions for two days of best practice sharing, training, and relationship building. This year’s Summit will feature a robust program, over 60 high-level and inspiring speakers, as well as dozens of interactive workshops, and a Leadership Awards banquet. For more information and to register, please visit the SPLC website. At Greenstone, we work with our clients to integrate sustainability into their procurement processes and purchasing decisions. Through our SupplierPortal software, we enable the collection, analysis and reporting of information across a supplier network, ensuring that compliance, contracts, and risk can be managed seamlessly. For more information on how to integrate sustainability into procurement, read Greenstone’s recent blog series on sustainable procurement.